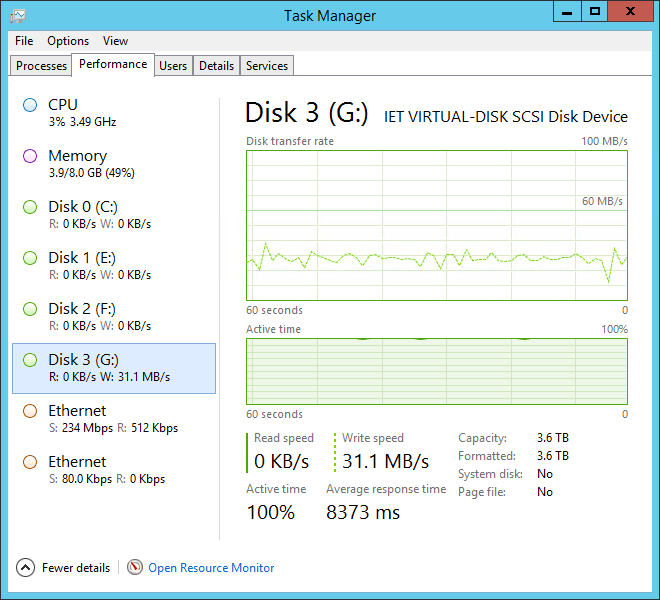 Disk performance information missing on Windows 2012 R2 – Blast from the past! As you may notice in the screenshot above, there was no disk information in the performance tab! I had a chuckle when I saw that. I remembered by Windows 2000 days and the trusty diskperf command. You can reference diskperf syntax on TechNet at https://technet.microsoft.com/en-us/library/hh875645.aspx. While the article claims “In Windows 2000, physical and logical disk performance counters are not enabled by default.”, the same applies to Windows Server 2012 R2 and I am sure other Windows Server versions as well for obvious performance reasons. It is also worth noting, as Hans Vredevroot points out on his blog, the performance information on client OS such as Windows 8 is readily available by default. 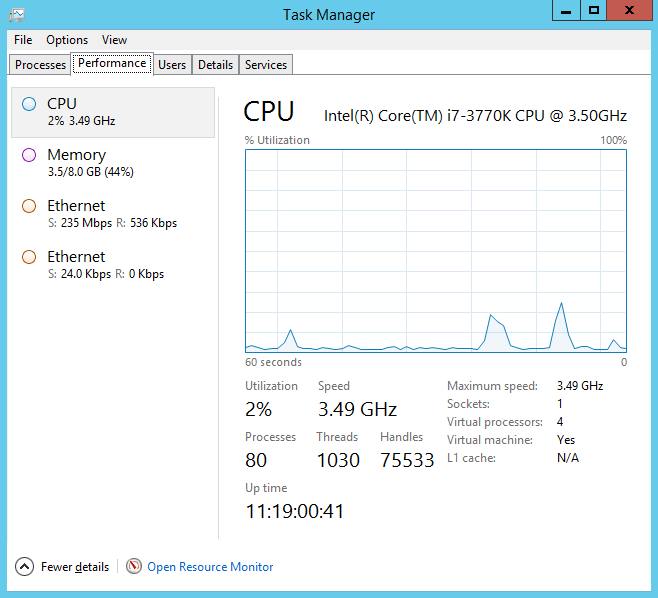 Raw counters are also enabled for IOCTL_DISK_PERFORMANCE.